If your Galaxy S3 earpiece speaker has failed, you will be unable to hear a caller when they talk. 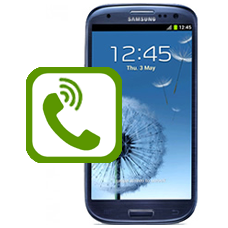 Our Galaxy SIII technicians are able to replace the faulty earpiece with this in-house repair service. This is an in-house Galaxy S3 repair service, when ordering this service you are required to ship the phone into our repair centre for works to be undertaken.